Geronimo Lacrosse is proud to announce it is partnering with SPEED Lacrosse to teach players of all experience levels, to play with creativity and freedom in a fun way that will prepare them for any traditional coaching system. These two, like-minded entities believe in age-appropriate instruction that focuses on fun, free play and fundamentals. Our goal is participation by making the game of lacrosse accessible for every family. In SPEED lacrosse the 3 vs. 3 format provides a fast paced game with regular substitution of all the players. Developed to exponentially raise lacrosse participation for both girls and boys, SPEED Lacrosse significantly reduces barriers to entry and simply provides the opportunity to give lacrosse a try. SPEED Lacrosse accelerates advanced lacrosse training and creates long-term player retention at all ages and skill tiers. SPEED focuses on lacrosse’s core fundamentals while raising the bar for diverse, multi-sport athleticism. This exciting, new lifetime sport, provides a unique product solution, a trademark event experience, and an official national participation platform for players. The program is a great option for players in Blazing Stars, Rising Stars, Pathfinders and Warriors who wish to gain extra skills outside of normally scheduled practices. **Equipment** The required equipment for SPEED Lacrosse is a standard sized short stick, a mouthguard and a protective cup for boys. Goalie sticks or long defender sticks are not allowed. Speed Lacrosse is low contact (think basketball) with no checks above the shulders or towards the head, so helmets, shoulder pads, elbow pads and gloves are not allowed. Schedule: Please note the two changes on Easter Sunday and Mother's Day. There will be a reduced rate of $95 for players who are also registered in Pathfinders, Warriors, Blazing Stars or Rising Stars. All Geronimo players will automatically be registered with US Lacrosse and will receive insurance coverage, a subscription to Lacrosse Magazine as well as other benefits. SPEED Lacrosse players will also receive "The Lifetime Player Passport" which allows participation in two official SPEED Lacrosse events per year, anywhere in North America! 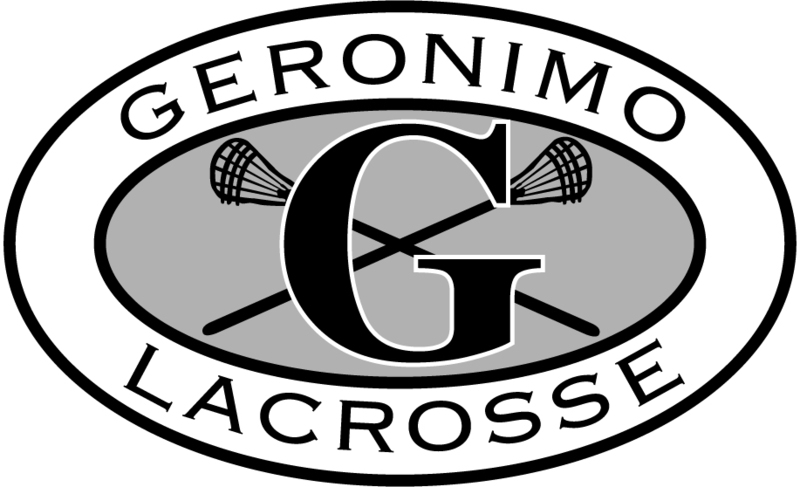 Geronimo Lacrosse programs will adhere to the water break and severe weather policies that are in place for the Collegiate School Summer Quest Sports programs. Features include, but are not limited to appropriate water breaks for players (based on temperature) and a zero tolerance for lightening/thunder. Andrew Stanley is the Geronimo SPEED Lacrosse Program Director. Coaches include current and former high school and college players.